At least that’s what some of my friends were saying when I first told them I am going to run for the Penang Bridge marathon. Not alone of course, with another 3 idiots from the same Uni. When you are doing something crazy, doing it with a group of people makes you less of an idiot. Sometimes it might turn out to be once in a life time experience. And I will tell you why in here, so keep reading. I remember it clearly, that year was 2012. Some say the world was supposed to end on that year, but let’s focus on the marathon. 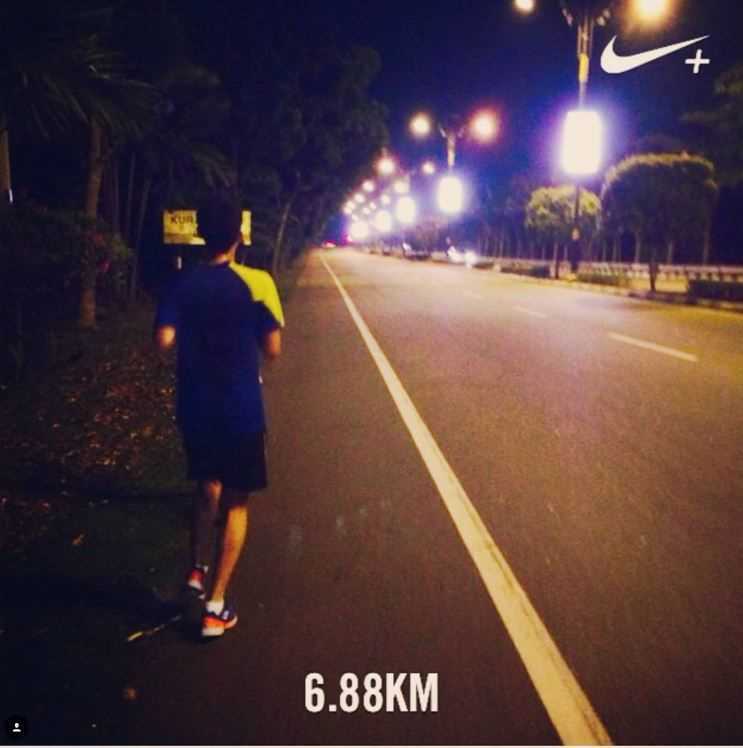 Back in 2012, I was approached by a senior friend in Uni, he was going to run for the Penang half-marathon and was asking people to join him for a trip to Penang. 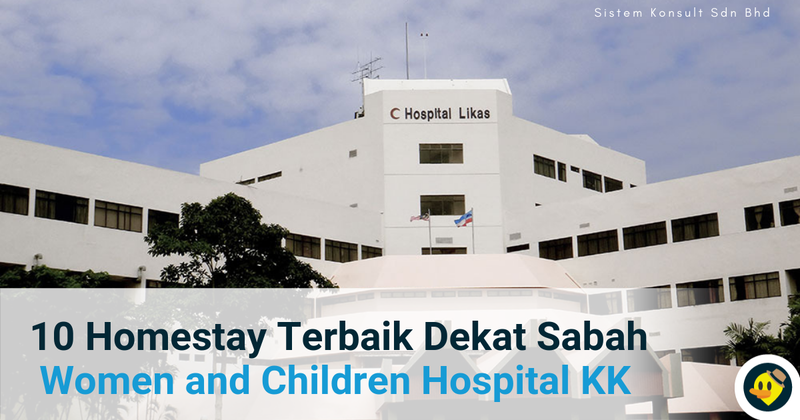 The reason was he wanted to book a backpacker’s hotel in Penang and he needed more people to get a cheaper rate, and he suggested that I sign up for the 10 Km fun run, or even better, join him together to run for the Penang Bridge half marathon, which is 21 kilometers long. I thought to myself, why not? Because when you were young the word YOLO always poped out in your mind. Do not deny that. I started making calls. 3 of my friends decided to join me for the run. Payments were made, we were all set! Pictures: The entrance to our accommodation, Ryokan Chic Hostel. Do ignore the 3 idiots who are ruining the pic. 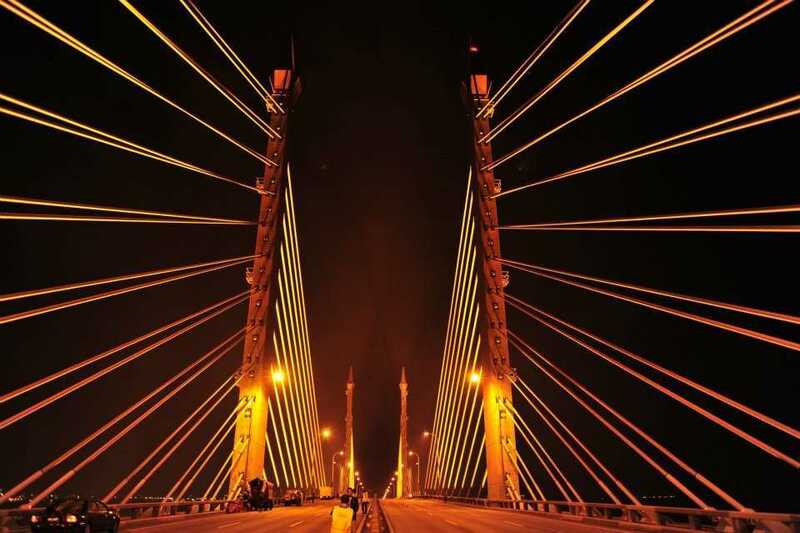 We reached Penang Island on Friday morning. The place that we were staying was a small backpacker’s hostel along Muntri Street, in the center of George Town, Penang. After putting our bags, we were chilling at the lobby using the Wi-Fi to pass time. Then we got bored, so we started walking around the area in search for food. Because when you are in Penang, you do not want to miss out on the food. 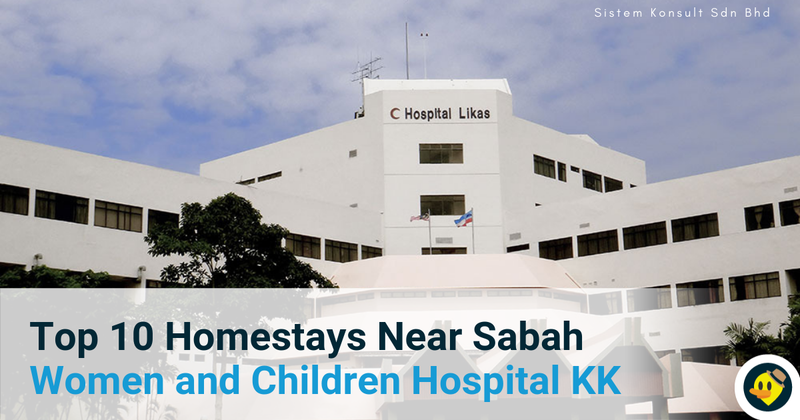 Penang road is just a stone throw away from Muntri Street. If you have never heard of it, the street has some of the most famous char kway teow, rojak and the famous teochew chendul (some called them cendol). But the point was, everything's super delicious! Partly because we were very hungry at that time. So after the heavy lunch we were bored once more. One of us suggested we should hang around at the nearby shopping mall. Another reason to visit the shopping mall was one of my friends, who’s an idiot, left his running shoe in the taxi this morning when we took the taxi from bus station to our hotel, and we were unable to contact the uncle who drove away the taxi with his shoe still inside the trunk. So now he had to buy a new running shoe in order to run for the marathon. We started walking towards Komtar, which is just across the junction from the chendul place. The Prangin shopping mall is just beside komtar. After buying the running shoes, and hanging around the shopping mall to waste as much time as we could. We got bored, again. We then decided to walk around Penang Street to pass time. First we saw a few places that were renting out bicycles to tourist and it might be a great idea to travel to further places. Then one of my friends suggested why not we rent motorcycles since we have license. So we started hunting for motorcycle. Some of the shops renting motorcycles need RM500 as deposits and some were renting RM100 per 24 hours. Madness. But we weren’t going to give up that easily! Because what else can we do in the Island without a transport? After an hour walking through a few streets, eureka! 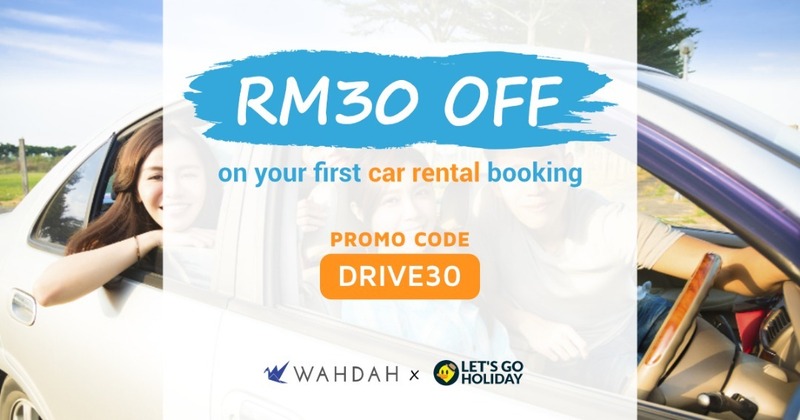 1 motorcycle for RM20 for every 24 hours. No upfront payment, no nothing, only need to pay after we return the ride. Sweet. 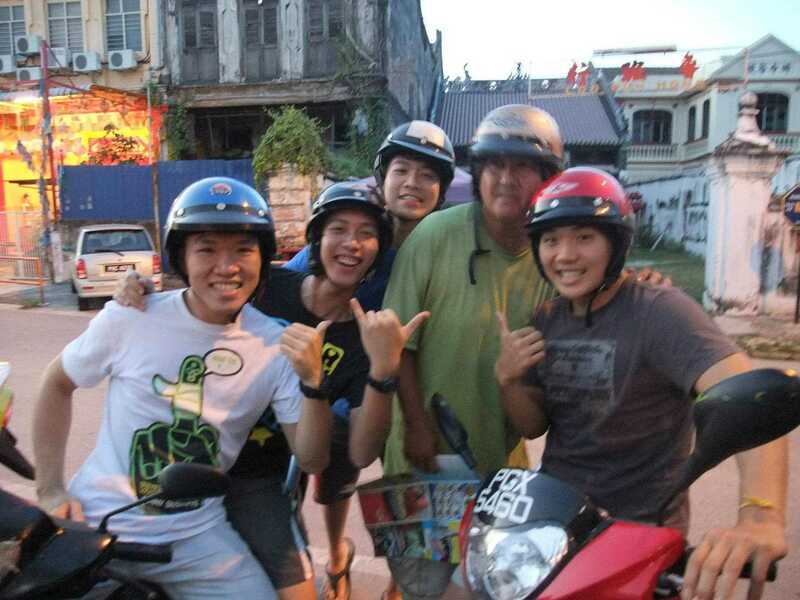 But the guy renting the motorbike looks a bit drunk, and he was telling all sorts of jokes in Hokkien dialect. Picture: The half-drunk uncle is second from the right. No idea where he’s looking but who can blame him? Having motorcycle at our disposal opened a whole new opportunity for us. First we rode the bike aimlessly for 1 hour, and since all of us idiots are not from Penang, we had no idea where we were going. But at least it’s better than wondering around the hotel. Then we got hungry again, but we had no idea where to go for food. So while waiting for the traffic light to turn green at a junction, we asked another Indian uncle in his old kapcai where can we find good food around the area. He asked us what we wanted to eat and we say anything delicious, he then asked us to follow his kapcai and he will take us to some hawker stall we won’t regret spending money on. How nice of that uncle taking his time to show us the way to the food stalls, and of course the food was amazing. That uncle sure knows the food well! 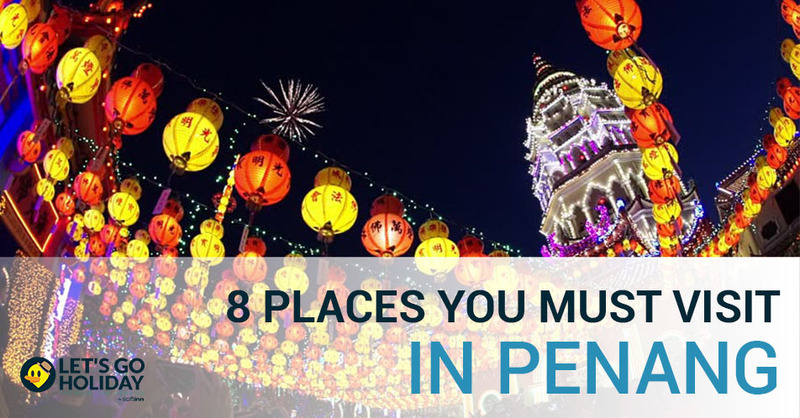 Here’s a tip for those who are not familiar with Penang, if you are driving and you have no idea where to go for food? Wind down your window and ask around. 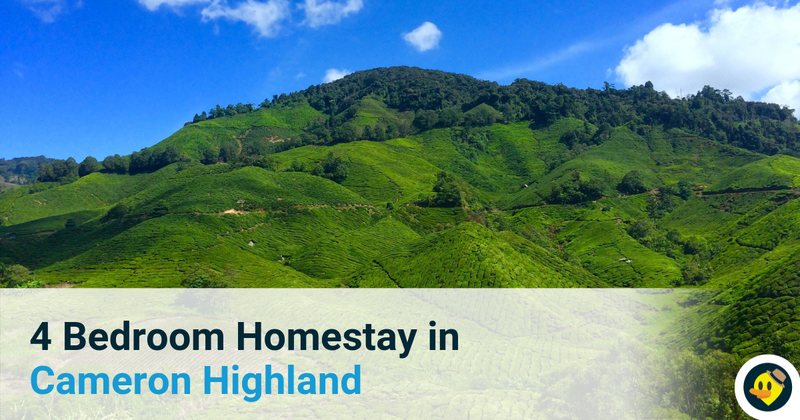 We did this for the 3 days while we were in Penang! It was so much fun! Finally came Sunday, November 18. Our run was scheduled to start at 4 in the morning, but we got so excited we barely had enough sleep. 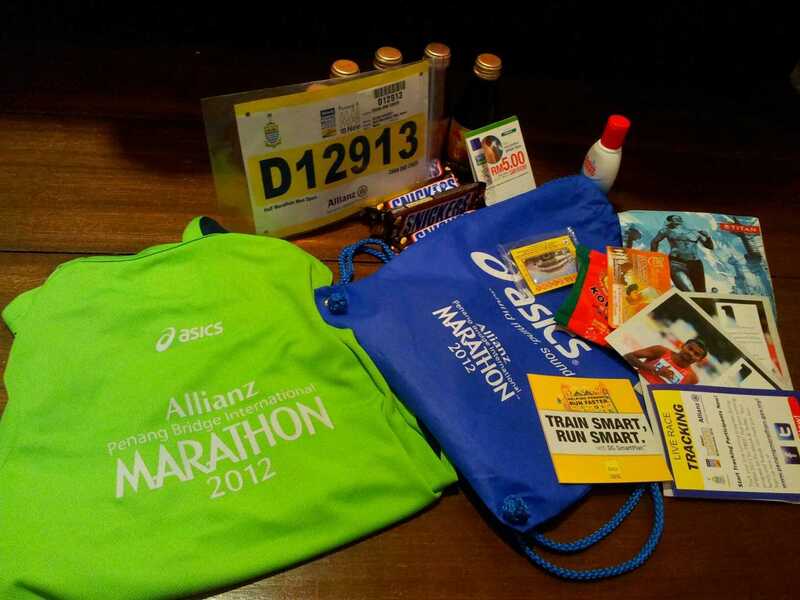 Picture: The running kits inside the goody bags, with a few red bulls to keep us awake from the lack of sleep. We hitched a ride in a friend’s car that was staying together with us at the hotel and we were off! The run started exactly at 4 am and all 4 of us finished within the cut-off time of 3 hours 30 minutes. It was tough as we barely had any sleep and it was windy, but we felt so proud that we finished the whole 21 km journey. What’s more, the number tag that we were wearing has a chip which recorded our time and published on our Facebook profile instantly. What a cool way to show off to our friends! 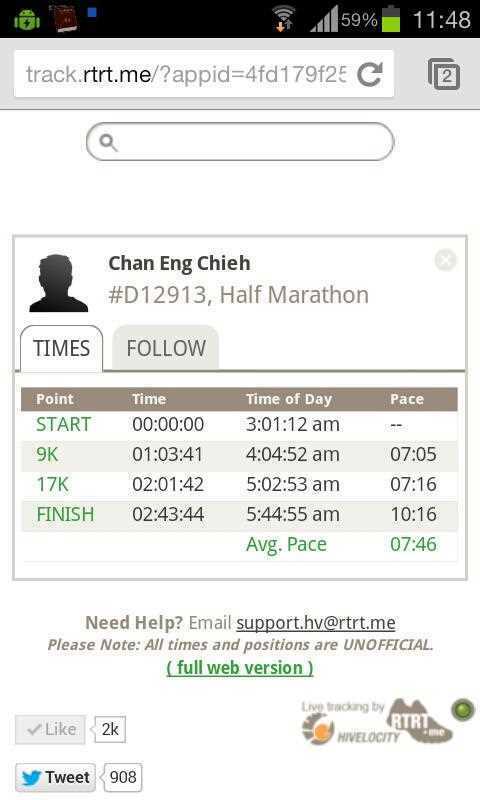 Picture: Manage to finish 21 km in about 2 hours 44 minutes. All of us feel like a million bucks. And of course, as you already knew, the world did not end in 2012. Year 2013. My First 42 KM Full Marathon. Year 2012 was all about the 3 days food hunting experience we had in Penang. Not so much on the run itself as 21 km was still manageable (even though we couldn’t feel our legs for 5 days) We had so much fun in Penang while preparing for the 21 km run, mostly jumping from one place to another eating all the food we could fit into our stomach and ran a marathon with less than 30 minutes sleep. That’s what made us want to travel back to Penang. The experience was priceless. Those memories stayed strong with us. Then one day in the month of March, I received a notification from Penang Bridge International Marathon official Facebook page. The registration was about to begin, and early bird will get more discount. I decided to share it to another 3 idiots who ran with me last year, instead this year we are going for 42 km. 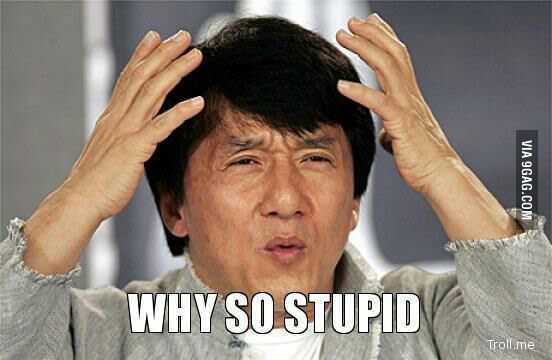 That’s the response you’ll get when you are dealing with a bunch of idiots. I could have just registered for all of us and gave them a surprise later, but it’s more polite to ask their opinion before making the decision, that’s what I learnt in school. The whole process happened in less than an hour. Decisions were made (without giving much thought, obviously) from 4 idiots we were up to 6. We are going back to Penang yo! To rent the bike again from that half-sober uncle, to ask around for food while waiting at the traffic light, and maybe another pair of shoes left inside the truck of the taxi. Who knows what might happen again when you’re travelling with a bunch of idiots. Remember, it’s stupid to run a 42 km marathon. But we are going anyway, to challenge ourselves, to prove those doubters wrong. We practiced our run once or twice per week. Just in case, you know, because it’s 42 km. Not exactly a stroll in a park but we think we will manage it quite well, simply because we finished 21 km like a boss! 42 km is just twice the length, shouldn’t be too difficult to finish it. 21+21=42! Get it? Simple math. The run should be simple as well. November finally came, and we reached Penang again on Friday morning. We did the same thing as last year. Rented the same motorbikes from the same uncle, still half-drunk after a year, covered almost the entire Penang Island in search of delicious food. We rode our bikes all the way to the top of Penang Kek Lok Si temple and into the vegetable farm. We rode from George Town all the way to Queensbay Mall, 25 minutes journey to collect our race kit and back to the hostel again. Then came Sunday, November 17. We were ready. But the weather was not on our side. It was raining. At around 12:30 am, with barely enough sleep, we set off in our little scooter and reached the starting line 35 minutes later under the rain. We got lost along the way, because some idiots decided to take a shortcut. But still, we got there early. All wet and shivering due to the wind. Nevertheless, we were prepared. Because we did training almost every week for 3 months. We ran about 6 – 8 km per run so collectively it should be more than 42 km. The difference in Penang is that we need to cover 42.195 km in less than 7 hours. 7 hours is the cut-off time to qualified for a finisher certificate and a finisher t-shirt. 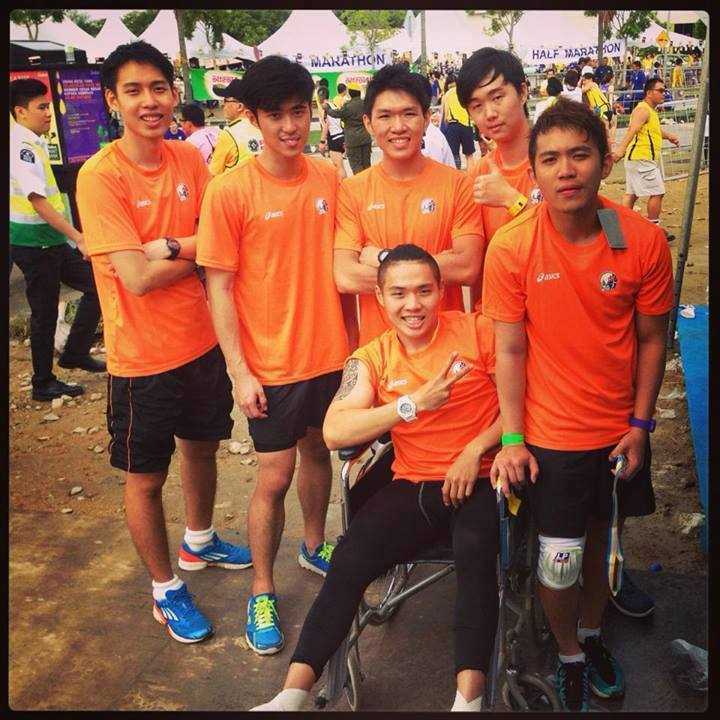 Last year, we all finished 21 km in less than 3 hours. So technically speaking, we should be done in 6 hours. All of us wore a watch to make sure we do not lose sight of time and ended up finishing more than 7 hours. That would be a big humiliation. After some warm up and with the rain not as heavy, we took a slow jog around the waiting area. Trying to warm our bodies and stretch our muscles. We then slowly proceed to the starting line where tens of hundreds of runners already gathered. The sound of pistol signaling the race has started at precisely 2 am. And we were off in our own pace, all running at different speed that suits our stamina. I was sprinting at the front and after about 15 minutes, got tired and slowed to a jogging pace. The race started off in front of Queensbay Mall and towards the industrial area, then makes a u-turn back to Queensbay Mall and continues onto the bridge. While running on the bridge the rain started to pour, and it became heavy instantly. Not a good sign. The cross wind that is blowing from left to right did not help either. The conditions are not ideal for the muscles to warm up properly. Plus, we did not practice our run under the rain before, not even once! I tried speed up my pace so that my body generates more heat and warm up my muscle but that did not help very much. I got tired just after a few minutes and slowed down to a jogging pace again. The rain was still pouring and I could feel my leg muscle getting tighter, it’s a sign that they might cramp soon. As expected, one of my leg is starting to feel the cramp and I had no choice but to stop running and give it a little stretch. I check my stopwatch, it wasn’t even pass the one hour mark since flag off. I knew I had to continue running and not give up that easily, since it’s only muscle cramp, I do not want to be seen crossing the finishing line in an ambulance. That would be the embarrassment of the century! With the rain slowly toning down and my body slowly adapting to the low temperate, I continue my jog and giving myself more rest time of around 10 minutes at every water station. I was wasting precious time to rest my body especially in between water station. I just passed the 20 km marker and the time was almost into the third hour. The rain had stopped. My body has adapted to the low temperature but the muscle cramps is still there, disturbing my concentration. The wind is slowly dying down but my pace wasn’t picking up too much. I was doing slow jogs but the time ticked away at the same pace. I started doing calculation in my mind and laying out the possibilities of ‘what if’, will I reach the finishing line on time? What if I did not rest at the next water station? What if I sprint for some distance and slow down for my body to regenerate? What if I just sit down at the sidewalk and rest for few minutes, will that cost me much? Nothing is certain right now. I’m on a bridge with nothing at both sides beside sea water. There’s darkness left and right. While the front seems like an endless stretch of highway with brightly lit street lamps, the finishing line is nowhere to be seen. The only sound I hear is the sound of my own breath. It can be boring and lonely while running a marathon. At that point, mental strength took over. Physical strength is secondary. 25 km mark, and the sole of both of my feet feels like the skins are burning. Most probably due to the water and the sweat accumulated during the rain. The friction between my feet and the socks are making my run harder. I just got used to the pain and keep moving forward. It’s better than riding the damn ambulance to the finish line. I’m starting to regret my decision to run in the full marathon, I could have just stayed home with my bed and blanket and just sleep through the night. Maybe some of my friends were right, running a 42 km marathon is stupid and silly. Yet at that point of time, there’s no turning back, finishing line is nowhere to be seen. Pain is temporary. At the 30 km mark and the clock ticks around 5 hours 30 minutes. The rain is long gone and the sun is slowly replacing the street lights in terms of brightness. The buildings in Penang Island and also main land can be clearly seen from my position. There was still time, I can make it before the cut-off time. That’s what I kept telling myself, because that’s all I can do besides non-stop running. But I was seriously tired. My body was exhausted and I was taking more rest than before, wasting more precious time. I wanted to keep going, my mind was telling me to keep going but my body was telling me stop and rest for a while, over and over again. You have no idea how excited I am after seeing the sign. Suddenly out of nowhere the energy just hit me hard. Char Koew teow is my favourite food in Penang! Even though seeing the sign won’t instantly transfer me to the finishing line, but it did provide me a needed boost at that time to pick myself up and move towards the end. Whoever thought of this quote should be given a medal, and a cookie! Genius! 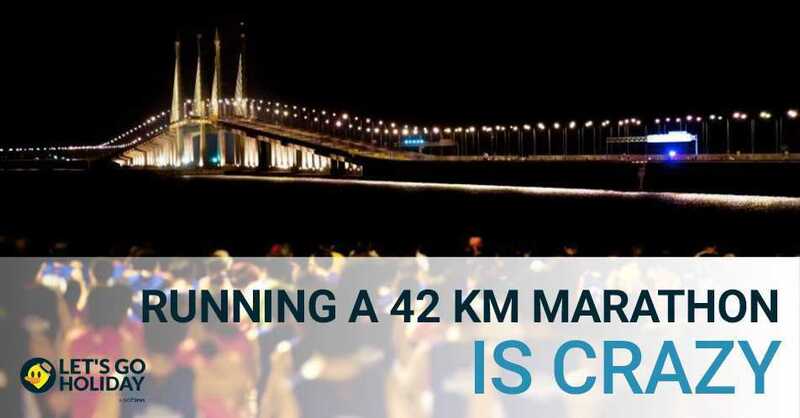 You will only see this sign in Penang Bridge Marathon! The road is getting more and more familiar. It was the same route that we took in the morning to the Queensbay Mall. Riding a motorcycle seems like a walk in the park, but not while you were running with a pair of cramp legs and a mind that was half-awake. The final few kilometers is another pain stalking sight. First you were greeted with 5 km more, then when you thought you saw a sign that could have read 4 km, but no! It was 4.5 km! That was not a motivation I needed! Then only came 4 km, then 3.5 km, then you got the point. Every 500 meters I ran felt like forever, more like 5 km! But still I continue my slow jog towards the end, as time is still ticking away. After the last roundabout, it was the last stretch of road before reaching the finishing line. Yes! My feet were alive again, they wanted to cross that line so badly that I started sprinting my last few hundred meters toward the finish line. Because after crossing the line I can sit forever and rest both my feet. The moment I sprint passed the finishing line, I felt relieve, I felt the freedom and there’d be no more running. I made it, 22 minutes before the cut-off time of 7 hours. It was no easy task, but I did it! There was that sense of pride and excitement. And that feeling was one of a kind, sensational and somewhat magical. I may be stupid to register to run 42 km, but I finished it. And damn it feels good. So were the other 5 idiots who came together with me. The journey was a total nightmare, one of them even had to sit in a wheelchair to move around because his legs hurt so bad that he was unable to walk for few hours after crossing the line. Long story short. It was an unforgettable experience, especially in Penang, where we were enjoying ourselves to the max before the run. The whole experience was unforgettable and I urge those who are still contemplating whether to join a marathon, you must try it. 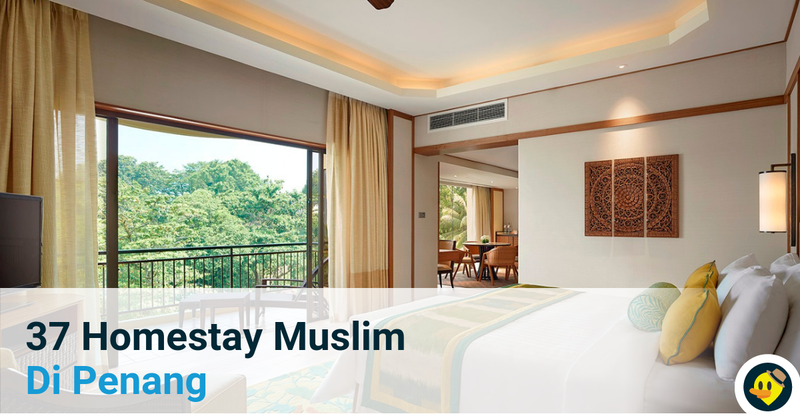 Even more so when you are young, when your body can regenerate and repair itself faster. And if you are still unsure whether your body can take the beating and the pain, my advice to you – register now, decide what to do later. Either you will buckle up and start training, or quit like a sissy. What I had learnt from running a marathon especially the 42 km distance was, you have what you are capable of until you find a way to proof it, not to anyone else but to that person you see in the mirror every morning. Because you will feel so much more powerful and your mind is ready for more challenges. Other people might call me an idiot for wasting my energy and money to do something which might not have monetary return, but Iet me tell you this, you will discover so much more than what you are actually capable of through the process of running. So what are you waiting for? Go online and register a marathon now! Because YOLO (You only live once) and don’t waste another moment procrastinate. Just do it, you can thank me later. 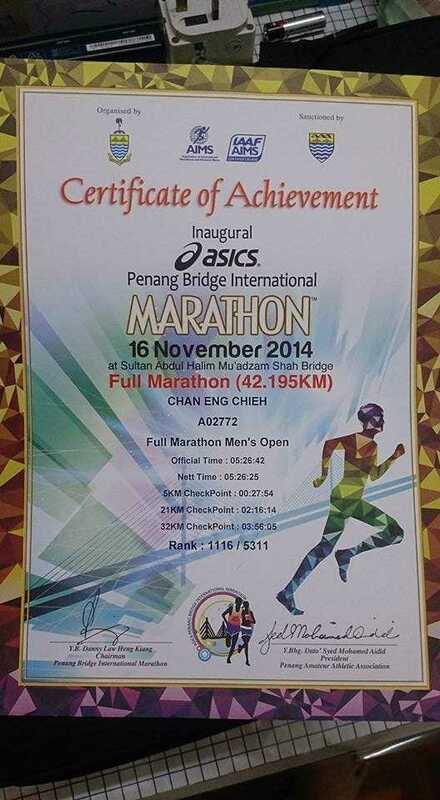 And as for me, I went back to challenge myself again for the Penang Bridge full marathon in year 2014. I was better prepared physically and also mentally compared to year 2013. The reason I am writing this article is mainly to motivate those who are still wondering whether they should or should not run for a marathon especially 42 km full marathon, listen to me - just go for it. As for those who are not into running, I hope my story will be able inspire you guys to take the opportunity to do something you’ve always wanted but do not have the support from your friends or families. You have to trust that you are able to do it and once you’re in it, push yourself to the very limit and achieve new height. Do note that I myself is just an avid runner who loves running. I am not a professional runner and certainly in no position to teach anyone how to properly train for a marathon. However, I’d love to hear from you all how’s your experience in running a marathon yourself and what drives you, comment below and maybe it will also give others the inspiration they need! P.S. I apologize for the lack of photos in this articles as me and my friends are not really into taking selfies. Pictures in this article are provided by me or one of my running mates Bryan Pong unless stated otherwise.